Cake smash sessions are the perfect way to capture and celebrate your child’s 1st or 2nd birthday. 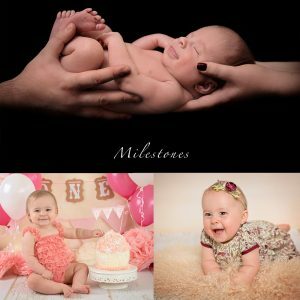 Watch your little one explore new tastes and textures as they tuck into a large homemade cupcake and we can capture your child’s personality for a lifetime. Sessions are about an hour and take place in my Telford studio. First we take a few photos in a nice outfit. For the second half of your session I will take pictures of your little one eating, smashing, making a mess! I will follow babies lead. If they want to take a break that is what we will do. Cake, and decorations are provided by me and are included in the session fee. 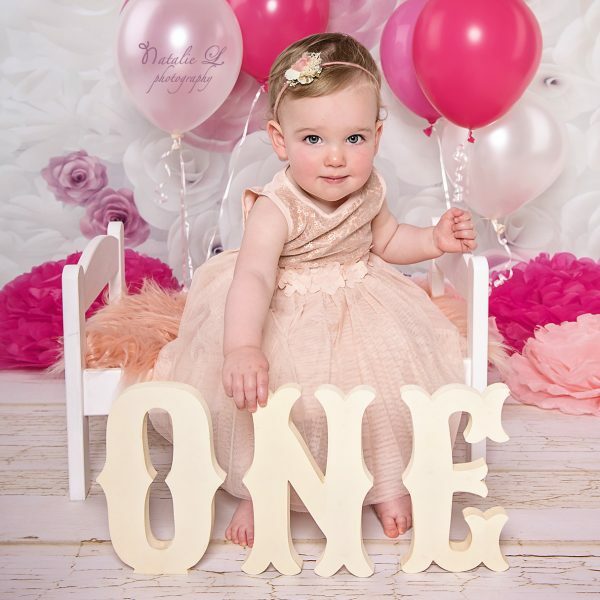 Each session is specially designed for your little one and we do an email consultation about colours, decorations and props. I recommend that any photo shoot is booked in advance (as soon as you possibly can) as my diary fills up months in advance. The session can be designed in the colours of your choice. Please dress your little one in something you don’t mind getting dirty and please bring a change of clothes for after the photo shoot. Parents please wear something you don’t mind getting messy with the cake too. You are also welcome to bring in your own cake, please notify me of its colour, at least 2 days prior to the session as I design a custom set-up for every session. Bring some juice or water and some savoury snack or sandwich for your little one. The best 15 edited photos are uploaded to a password protected online gallery. A link with your password will be emailed within 10 days following the photo shoot. Finally these 15 images come on your personalised, unique disc with print release. Special discounts also apply to canvases and premium prints. 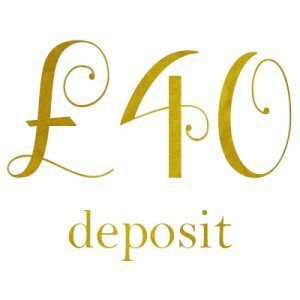 A non-refundable deposit /deductible/ of £40 is required to secure your session. Remaining payment is to be made on the day of your session. This can be paid via cash or bank transfer.